Sometime during Dead or Alive 5’s development Team Ninja wanted to move away from having over-sexualized female characters, but anyone who has played the game so far will probably realize that that has become something of a moot point. What made them change their minds? 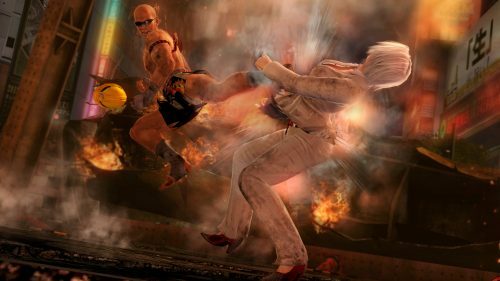 Well according to Dead or Alive 5 director Yohei Shimbori, fan feedback. Honestly, if gamers want bigger breasts then let them have their cheesecake. Dead or Alive has always been a series that contains a lot of fan service and anyone picking up the game at this point should know what to expect… a tight fighting game with enjoyable combat and plenty of eye candy.